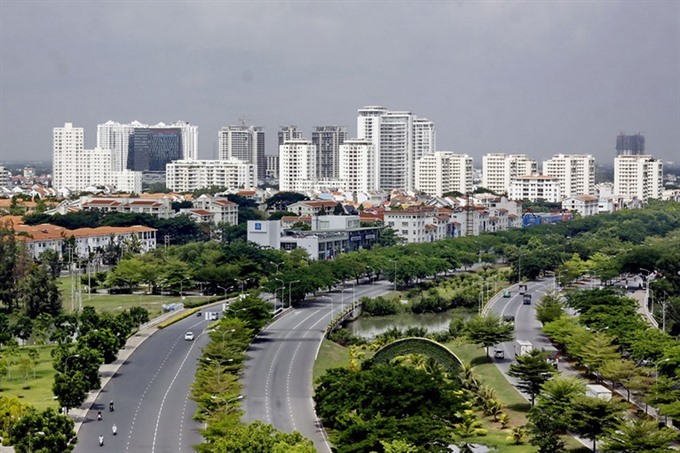 HCM City – Despite higher growth than in the same period last year, HCM City has fallen short of its economic growth target in the first quarter. Its GRDP was worth nearly VNĐ235 trillion (US$10 billion), an increase of 7.46 per cent year-on-year compared to 7.08 per cent a year earlier. The services sector expanded by 7.95 per cent (7.8 per cent a year earlier) and industry and construction by 6.67 per cent (the respective rate was 6.25 per cent). Retail sales topped VNĐ227.5 trillion ($9.8 billion), an increase of 12 per cent. Revenues were worth VNĐ86.6 trillion ($3.8 billion), or nearly 25 per cent of the full-year target and an increase of 18.56 per cent. The city’s designated four key industries -- engineering and automation; electronics; chemicals – rubber – plastics; and food processing -- continued to perform strongly, expanding markets, investing in technology, improving quality and competitiveness and growing at nearly 9 per cent. “The electronics industry … grew at 14.2 per cent … and this is the highest [quarterly] increase in the last few years,” Phạm Thành Kiên, director of the city Department of Industry and Trade, told an economic review meeting yesterday. A study by the department found that of the mobile phones used by city dwellers, 42.7 per cent were made in Việt Nam. The numbers were 50.9 per cent for laptops and 58.3 per cent for television sets. According to the city People’s Committee, enterprise support programmes have achieved good results, with the business and investment environment improving. This has strengthened confidence among investors and entrepreneurs in the city’s economic potential. This is demonstrated by the investment the city managed to attract -- of nearly $575 million, an increase of 56.7 per cent year-on-year – an expert working for the city administration said. Around 8,000 new companies with a combined registered capital of VNĐ99.5 trillion ($4.4 billion) received licences during the quarter, increases of 14 per cent and 61.7 per cent. Some 1.58 million foreign visitors arrived in the city, an increase of 15 per cent, and the tourism sector reported a turnover of VNĐ27.8 trillion ($1.23 billion), a 15.6 per cent rise. “Though we have achieved positive results in the first quarter of this year, to accomplish the yearly plans, we must work hard,” Nguyễn Thành Phong, the chairman of the city People’s Committee, said. While first quarter growth was 7.46 per cent the city targets 8.4 – 8.7 per cent growth for the full year, he pointed out. Industries and local administrations need to take strong measures to achieve the targets, he said. The city has already cut or suggested cuts to administrative procedures, especially with respect to insurance, land, taxation, customs, and labour, to help businesses cut costs, he said.